KILLAM, THOMAS, merchant, shipowner, and politician; b. 8 Feb. 1802 in Yarmouth, N.S., the son of John Killam (d. 1842) and Sarah Allen; m. first in 1823 Sophia Corning (d. 1839), by whom he had a son, and secondly in 1841 Elizabeth Gale Dudman, by whom he had five sons and three daughters; d. 15 Dec. 1868 at Digby, N.S. Thomas Killam’s father was a Yarmouth shipowner and merchant who helped establish the Marine Insurance Company, built a sawmill on Cape Fourchu, and took an active part in developing local public services. Thomas was probably educated in the private school which operated in part of his father’s house. He gained early experience in the family business and probably served at sea in the 1820s. As his father began to reduce his business activities, Killam became prominent in his own right. In 1839 he built his first vessel, Sophia, a 92-ton schooner, and until 1865 he constructed, commissioned, or purchased from one to six vessels almost every year. During the 1840s almost all of Killam’s ships were schooners or brigantines, of less than 400 tons, often built for the fisheries; one, a barque, was 628 tons. By 1852 he was experimenting with barques of over 800 tons and in 1861 he commissioned from John Richards, a noted local builder, the 1,459-ton Research, for $15,000. Between 1839 and 1865 he owned some 60 vessels, 25 of which were lost at sea, although he himself probably had a substantial interest in no more than 16 at any given time; others in Yarmouth owned far more. Some shares in these ships might be held by suppliers, ships’ captains, and other merchants. Occasionally Killam was joint owner with various relatives by marriage and with his own sons, especially George, but not with his several uncles, prominent shipowners in their own right. Thus the family name, attached to many Yarmouth ships, did not designate a coherent organization despite some cooperation among the Killams. These relatively small, flexible businesses could adapt more quickly to fluctuations in trade. Killam steadily developed a general trade between North America and Great Britain, which had many hazards. Yarmouth merchants insisted that provincial regulations covering pilotage fees, lighthouse duties, and reporting to customs clerks discriminated against the outports and coastal shipping, and reflected Halifax mercantile interests. These merchants also had to cope with fluctuations in Atlantic trade. On 1 Jan. 1862 the firm of Killam, Son, and Dudman, established in 1849, failed with a total cost to Killam of $85,000. Nevertheless he continued in the carrying trade, speculating in such commodities as iron rails, lumber, and grain. In Yarmouth he also expanded his business as a ship-chandler and as a dealer in fishing supplies, iron, cordage, coal, meat, and flour. His success as a merchant was partly explained by his ability to keep a large amount of assets in accounts receivable, rather than in fixed assets, so that he had a continuous turnover of capital. At his death, his estate had a gross value of $290,810 with $96,255 in shipping and $129,231 in accounts receivable, though it also included $44,538 in bad debts. He operated a tightly controlled, well-organized business. Following his father’s example Killam became in 1837 a director of the newly established Yarmouth Marine Insurance Association. He remained associated with this company and also purchased shares in the Acadian Insurance Company (established 1858) and the Atlantic Insurance Company (1865). Yarmouth’s financial growth, attested to by the presence of these new insurance companies, and the failure of the Halifax banks to service Yarmouth’s needs, resulted in the formation of the Bank of Yarmouth in 1863, of which Killam served as a director until his death. Killam looked on material possessions as a fruit of social mobility and not as an inherited right. He supported a broadened franchise, but was unconcerned with schemes to improve the position of the workingman or the poor, beyond helping to obtain a better jail for Yarmouth. Killam was willing, when he turned to politics, to use the political support of the shipwrights and joiners in the Yarmouth shipping industry, many of whom were Acadians from Argyle, N.S., and who succeeded in forming an association in 1834, which by 1851 had 150 members. He was noted for individual acts of kindness to his associates, but he had no interest in the fraternal and benevolent societies of his day. He did, however, serve as director of the Wesley Chapel from 1839 and helped finance the construction of the Methodist church built in Milton in 1865. He was also involved in the establishment in 1858 of a private school for the sons of local merchants, and became a director of the Yarmouth Academy, donating $1,000 to the building fund in 1864. Throughout his business career Killam had dealings with the provincial legislature, whether to obtain a lighthouse or to incorporate a company. In 1847 he was elected to the assembly as a supporter of the popular Herbert Huntington* and as a Reformer opposed to Tory élitism. A successful businessman, Killam was an important addition to the Reformers. Although never an eloquent speaker Killam soon appeared on several select committees, often with Joseph Howe* and George Renny Young*, dealing with such issues as insurance, acts of incorporation, and conditions of business partnerships. He became a member of the influential public accounts committee in 1849, and then chairman from 1853 to 1856 and again in 1859, where he furthered the interests of the mercantile community. He was opposed to the development of manufacturing in the province. He also preached the liberal slogans of free trade, though he was prepared in 1850 to agree that the power of the state should be used in the fisheries to force the Americans to grant trade concessions to Nova Scotia. With other Nova Scotian merchants Killam felt that the Reciprocity Treaty of 1854 provided an opportunity to supplant the American merchants who had previously controlled much of the trade in fish. Killam’s belief that government should not be involved in economic affairs caused him to be concerned in 1849 when Howe proposed a government telegraph company. Construction of a line was begun by the Nova Scotia Electric Telegraph Company, but a group of businessmen, including Killam, secured control of the company in the mid 1850s. In 1850, when Howe first advanced his scheme for a publicly financed railway from Halifax to Windsor, N.S., Killam began to denounce the ministry, and in 1851 he voted against the government almost as often as did James William Johnston*, the leader of the Conservative party. Returned as the member for Yarmouth County in the 1851 election, Killam continued to distinguish himself as a leading opponent of the Reform ministry. With the support of another Reformer, Edward Lothrop Brown of Horton Township, Killam played an important role in helping the Tories defeat Howe’s railway plans in 1853. Yet unlike many Tories, Killam looked on railways with distaste and foreboding, although he was not opposed to technological innovation. He saw railways not as the symbol and agent of modern progress, but as an expensive undertaking fostered by a clique of Halifax businessmen trying to make the entire province pay for a project which would lead only to their own aggrandizement. Killam’s criticism contained a bitter irony: at a time when Killam and his fellow merchants were expanding the shipping trade and needed public support, the legislature was debating whether it would devote the bulk of provincial revenues to the railways. Despite the government’s defeat in 1853, railway fever, which in Killam’s view resulted in a frantic attempt to grasp a puff of smoke, finally proved to be too strong, and a board of commissioners was established in 1854 to construct a railway from Halifax to Windsor. Killam’s often virulent attacks on Howe and other Reform leaders precluded his appointment to the Reform ministry, which in 1848 had seemed assured. Yet he continued to be known as a Reformer and to serve on committees dealing with business matters. Gradually, however, he became convinced that the Reform ministry was spitefully discriminating against his county by refusing to finance local projects. Killam’s estrangement, which meant the ministry was losing the support of its more radical supporters in the assembly, was part of the same process which resulted, in 1854, in the introduction of two former Tories, Lewis Morris Wilkins* and Stephen Fulton, into the Reform ministry, and the election of another, Stewart Campbell*, as speaker. As Killam moved away from the Reformers he increased his interest in protecting the rights of the assembly member and in limiting the ministry’s power. He became an enthusiastic supporter of an elective upper house, a broadened franchise, and municipal institutions to replace the existing Quarter Sessions. Although J. W. Johnston supported these measures as a means of carrying out the old Tory principle of a division of power, Killam was more interested in protecting the power of the people against an overly strong executive. Some members, however, feared a reduction of their political influence in their counties if routine local issues were handled by municipal bodies. A general incorporation bill was rejected but several members, including Killam, demanded and received in 1855 an act allowing for the local option to incorporate. Yarmouth did so in 1856, but a petition from Yarmouth, prompted by the higher taxes resulting from incorporation, led the legislature to repeal the town’s incorporation in 1858, much to Killam’s disgust. This set-back, and the failure to establish an elective upper house, meant that the attack on the cabinet system was not successful and Killam was becoming more isolated in the house. 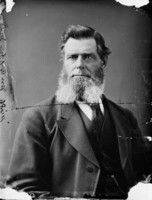 Killam had been re-elected in 1855, for the first time as a Conservative. He played no direct role in the defeat of the Reform ministry in early 1857. After the triumph of J. W. Johnston and the Conservatives, he did not receive a cabinet position, perhaps because of his long antagonism to sectarian privileges. He was an uncomfortable supporter of the new ministry as it continued with the railway construction begun by the Reformers. He followed the Conservatives into opposition, however, when the Liberals returned to office under William Young* in 1860. Although by temperament he seemed more content in opposition, he appeared on few committees after 1859 and introduced little legislation. 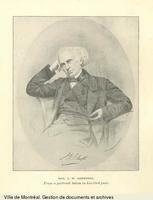 Despite his service to the Conservatives he was again passed over for the ministry in 1864. He was appointed to the railway committee but soon resigned in protest against Charles Tupper*’s flamboyant scheme to expand the provincial railway system. Tupper got approval for his railway schemes in 1864, over the objections of six members, mainly from the western counties, and ultimately ensured the necessary financing through the scheme of colonial union, which included federal absorption of the provincial debt. This connection between confederation and railways might have been sufficient to provoke Killam into opposing colonial union, but lie also saw as inevitable higher tariff duties, a commitment to industrial growth, and acceptance of intercolonial, rather than continental, trade. With his life-long support for a maritime mercantile economy, Killam found the creation of a political and economic unit out of the British North American colonies ridiculous. To the assembly in 1866, with map and pointer, he “proceeded to show that the natural home of B.N.A. was with and among the old Colonies . . . .” He was not so much advocating joining the United States as defending the status quo. 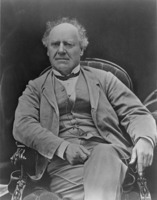 When the legislature committed the province to colonial union in 1866, Killam still objected and with his long-time opponent, Joseph Howe, helped establish a province-wide anti-confederate corresponding committee. Passage of the British North America Act in 1867 changed the anti-confederate agitation in Nova Scotia. Killam had intended to retire from politics, but now ran successfully in Yarmouth for the new federal parliament. At its fall session in 1867 he refrained from debate until a new tariff bill was introduced. In a restrained fashion he reaffirmed his belief in free trade and mildly objected to tariff increases on imported flour which blatantly discriminated against Nova Scotian interests. His opposition stiffened when he returned to Yarmouth and found that a public meeting had denounced the tariff and supported the growing provincial campaign for a delegation to England to repeal Nova Scotia’s participation in confederation. Of the federal members from Nova Scotia only James William Carmichael of Pictou and Killam publicly agreed with the provincial ministry that resuming their places in parliament would constitute a recognition of confederation and they refused to return to Ottawa. Yarmouth remained a vociferous centre of opposition to union. At a public meeting in July 1868 broad hints were dropped that unless repeal was granted Nova Scotia should seek entry into the United States; Killam, who had long professed support for republican institutions, probably sympathized with the agitation. But in Yarmouth, and in the province generally, there was dissension among the anti-confederates, especially between the provincial ministry and the federal wing, led by Howe. Killam looked on the anti-confederate cause as a people’s movement and on any division among the leaders as a betrayal of the true source of political power. Moreover, as a life-long liberal, Killam would not follow Howe into a compromise with the Conservative John A. Macdonald* or a coalition with Tupper. In his own county Killam was able to keep the anti-confederates together but he had little influence elsewhere in the province. Killam’s death, amid the feud between Howe and the provincial ministry, passed almost unnoticed. Of the major Halifax papers, only the Roman Catholic Evening Express published an obituary, in which the editor referred to Killam’s defective education, inadequate command of words and grammar, and strong prejudices, and added: “To be obliged to yield, even when in the wrong, he considered not only a misfortune, but a disgrace.” Yet the paper also concluded that almost every important issue in Nova Scotia for the past 25 years bore his mark and that he had been the leader of the anti-railway policy in Nova Scotia. The extent to which Killam apparently had quickly become an anomaly in Nova Scotia is perhaps best illustrated by the fact that his son Frank, at 24, pulled the Liberal party together in Yarmouth, won his father’s federal seat at a by-election in 1869, and became president of the Western Counties Railway Company in 1870. N.B. Museum, Tilley family papers. PAC, MG 24, B29; MG 26, F. PANS, RG 5, P, 124. Yarmouth County Court of Probate (Yarmouth, N.S. ), will of Thomas Killam. Can., House of Commons, Debates, 1867–68. N.S., General Assembly, Statutes, 1848–67; House of Assembly, Debates and proc., 1848–67. Evening Express (Halifax), 1863–68. Morning Chronicle (Halifax), 1863–68. Novascotian, 1847–63. Yarmouth Herald (Yarmouth, N.S. ), 1863–68. Yarmouth Tribune (Yarmouth, N.S. ), 1855–68. G. S. Brown, Yarmouth, Nova Scotia: a sequel to Campbell’s “History” (Boston, 1888). J. R. Campbell, An answer to some strictures in Brown’s sequel to Campbell’s “History of Yarmouth . . .” (n.p., 1889). J. C. Farish, Yarmouth, 1821; a reprint of articles published in the “Yarmouth Herald,” 1892 ([Yarmouth, N.S. ], 1971). Our dominion; historical and other sketches of the mercantile and manufacturing interests of Fredericton, Marysville, Woodstock, Moncton, New Brunswick, Yarmouth, N.S., etc. (2v. in 1, Toronto, 1889). D. F. Warner, The idea of continental union; agitation for the annexation of Canada to the United States, 1849–1893 ([Lexington, Ky.], 1960). K. G. Pryke, “KILLAM, THOMAS,” in Dictionary of Canadian Biography, vol. 9, University of Toronto/Université Laval, 2003–, accessed April 24, 2019, http://www.biographi.ca/en/bio/killam_thomas_9E.html.